Soccer fans in Ciudad Juárez go by the name, "El Kartel," in order to make fun of the violence and drug trafficking that has plagued the Mexican border city. Club Indios de Ciudad Juárez was the little team that could, ascending to the top tier of the Mexican soccer league within three years of being founded, staving off relegation (in a system rigged to favour the incumbent franchises) and quickly reaching the semi-finals in early 2009. It all seemed to good to be true – and it was. Ciudad Juárez lost its soccer team recently, another blow to the city, which some local observers say has showed signs of improvement. The Mexican Football Federation revoked the franchise, saying its ownership groups wasn't paying employees and players. 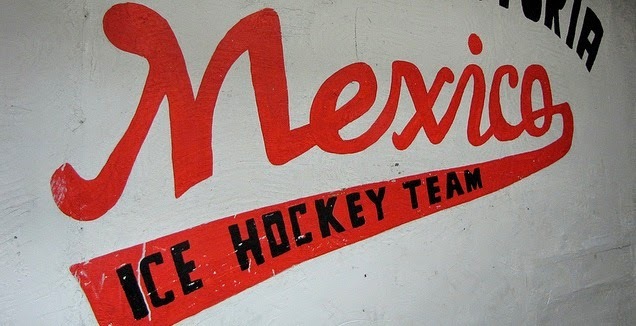 But Mexican soccer observers say the team was always an inconvenient franchise; some teams almost refused going there to play due to the violence, while the ownership group was underfunded in a league awash with wealthy owners such as Grupo Modelo and Televisa. 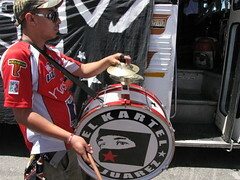 The team always had plenty of support from fans, however – known as "El Kartel de Juárez" – and soccer became a diversion in a city overwhelmed with violence and bad news. I attended the final game Indios played in Ciudad Juárez as part of the top tier back in April 2010 and posted these photos to a Flickr site. I also wrote about the loss of the franchise for the Toronto Star.